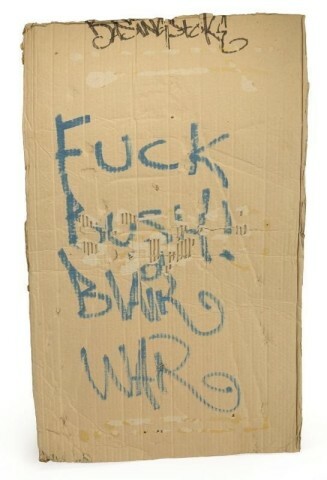 (The only existing photo documented work). 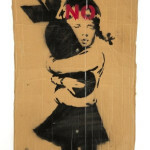 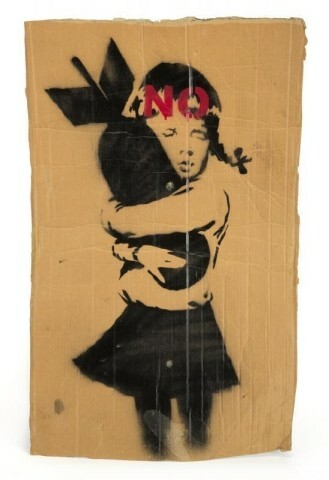 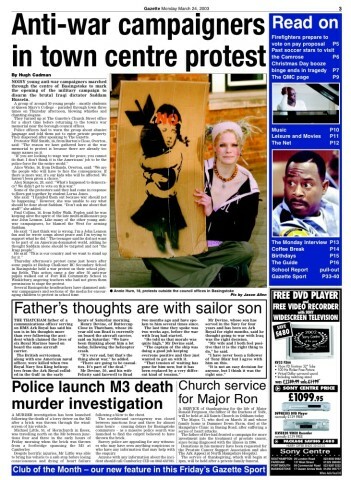 A black and red aerosol stencil executed on cardboard depicting a young girl with braids hugging an aerial bomb. 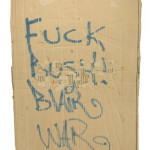 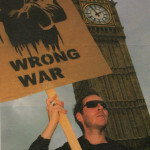 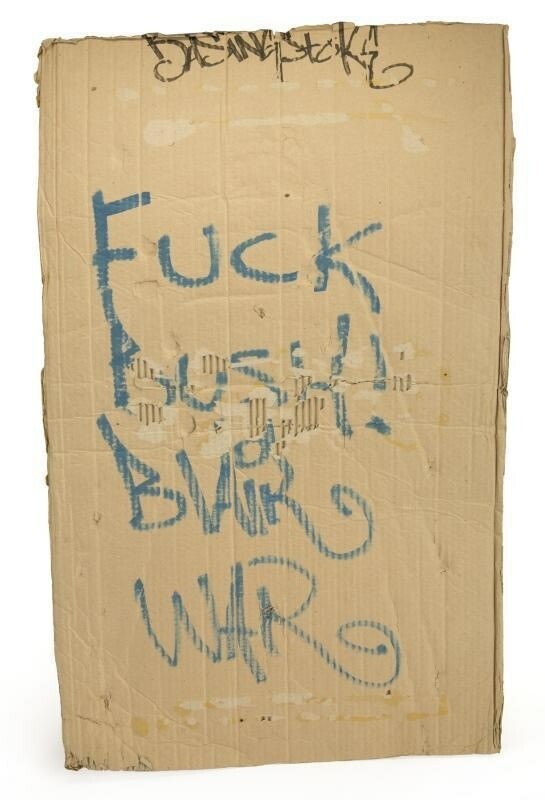 The painting was used as a placard in England during the international anti-war protests of 2003. 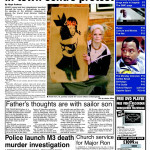 A photograph of the owner shown holding the placard can be seen in a corresponding article published in the Basingstoke Gazette during the time of the protests. 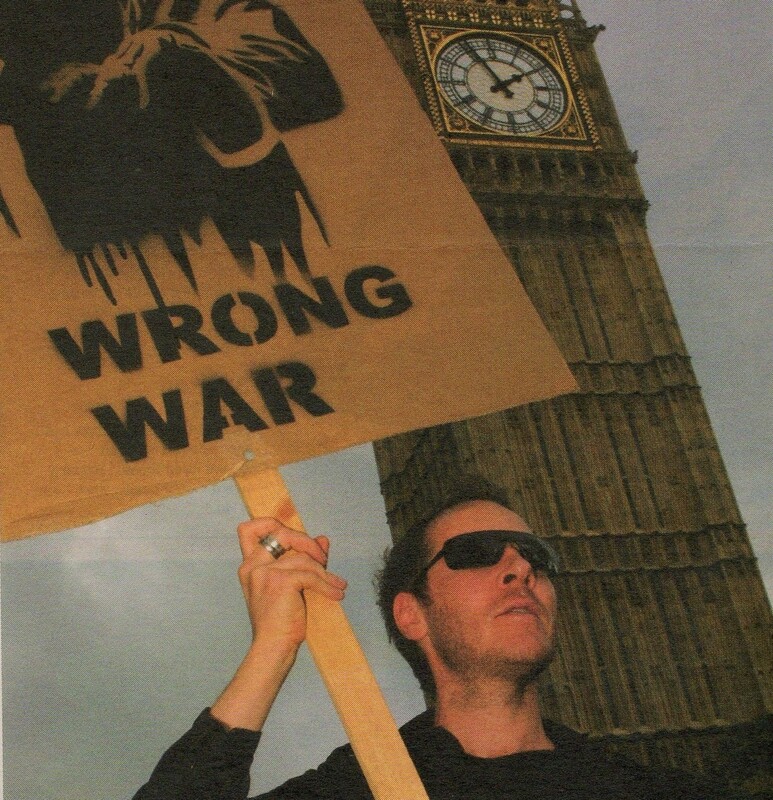 On last photo 3-D from Massive Attack carrying another sign that does not exist any more.